Morkel, getting a little teary reading this as Camp Pan is my favourite leopard in that area. There is something about him. He has sired so many successful leopards, he is a true patriarch. I knew his time was coming but your post has made it imminent. Gutted that I won't be able to gaze upon him again. His loss will be felt for a long time when it comes. 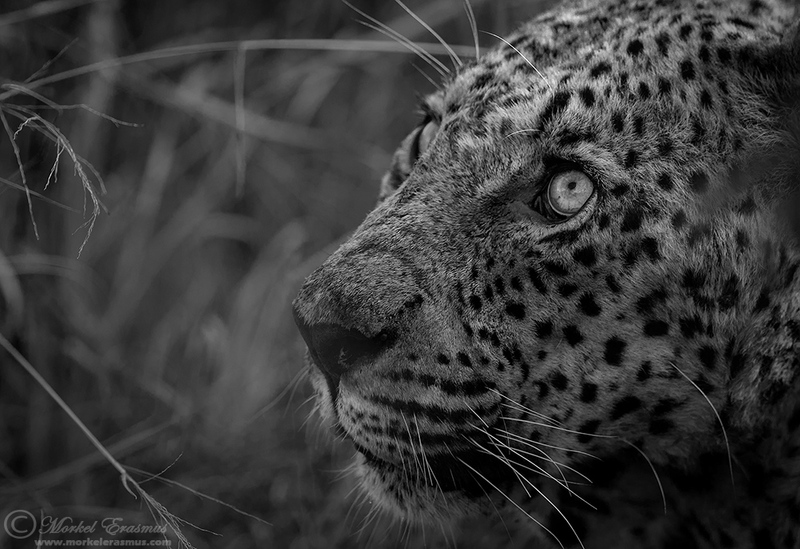 He was the first leopard I ever photographed. Will FB you my pic of him. Thanks for posting this, I have often thought of him, dreading this kind of news. You are lucky to catch some of his last moments. Hi Zoe - thanks for your comment, and your kind words. It seems he's still pushing on, let's see what updates we get from the Sands. Morkel, before giving you my feeling about what I saw in his eyes (it's on your FB post), I didn't check whose male it was. Now I know that it's Camp Pan male. It's sad to grow old, to lose the strength, agility, capability that were ours a few years ago. It's sad for us humans as well as it is to see it on a great male leopard like Camp Pan. Thank you, Morkel, for sharing this moment with us (me), on a very intimate basis. And, as Zoe said above, you were lucky to catch some of his last moments. Sorry to read the whole story - it is so sad. I saw in his eyes a desire, interest, willing and I was not much mistaken, but knowing the whole story makes it somehow different... Thanks for sharing..